My second graders were looking at focal point in art. 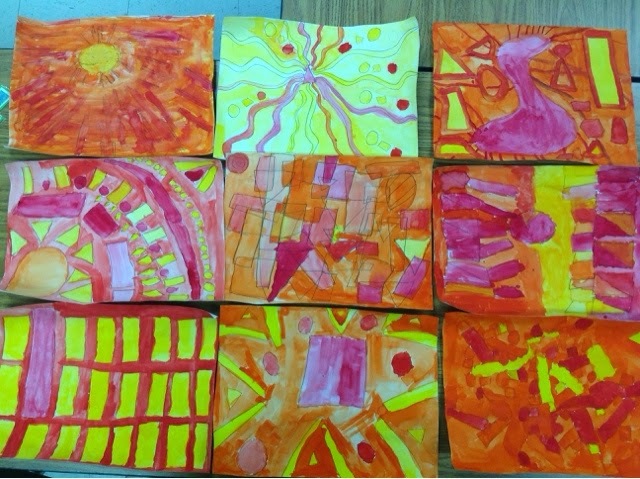 We discussed different ways artists create this, and did some practice drawings before moving on with our final piece. I limited their color palette(each class was given a different set of three!) trying to simplify the design & push the idea of creating focal points. I really like the variety I saw coming from my students in this project! !